Waverly Hills is a high-demand neighborhood located just north of Midtown, featuring small, medium and large homes on nice-sized lots. The neighborhood is laid out with 400 homes on tree-lined streets, surrounding a small pond, and it should not surprise anybody to see these homes selling so well as they have so much to offer. It is important to note that the narrative contained below is for sales through December for all previous years but through the 10th of December in 2018. The graphs and the closed sales table will be continuously updated into the future (meaning bookmark this page if you always want to know the current status of homes in the Waverly Hills). The Waverly Hills average home price thus far in 2018 is $296K. Home sales activity in Waverly Hills has finally cooled, after posting the best year for home sales since 2005. Currently, there are three homes for sale in Waverly Hills and properly marketed homes will sell fast. Waverly Hills average home values have moved almost 5% higher since our last report less than three months ago. This brings the annualized appreciate rate to a positive 1.5% after having been negative all year long. The average value of a home sold in Waverly Hills thus far in 2018 has been $134 per square foot. The average home size sold in Waverly Hills typically falls in a range of 2,000 to 2,500 square feet, and 2018 has been no different. The 25 homes sold in Waverly Hills in 2018 have averaged 2,328 square feet in size. 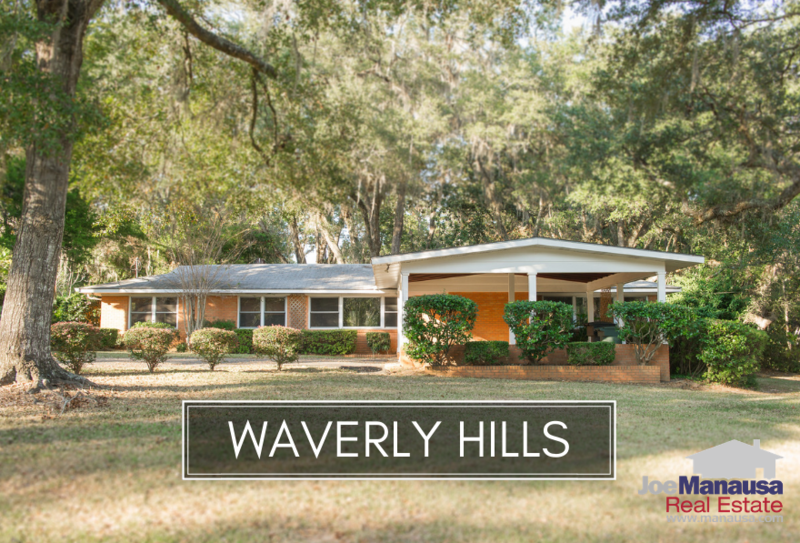 This concludes our December 2018 update on home sales in Waverly Hills, please give us a call at (850) 366-8917 or drop us a note if you have questions about this popular Midtown neighborhood. Who should you hire for your next move? Here's what people are saying about working with Joe Manausa Real Estate, you can see hundreds of real customer reviews reported on Google, Facebook and Zillow right here: http://www.manausa.com/testimonials.